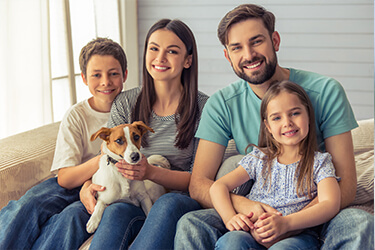 To keep your family’s smiles healthy, your Schenectady dentist may recommend topical fluoride treatments as an additional preventive measure, combined with good dental hygiene, regular visits to the dentist, and possibly dental sealants. Completed within minutes at the end of a checkup and cleaning, topical fluoride treatments strengthen the tooth enamel to protect against decay. Fluoride is an invaluable preventive tool at Capital Smiles. “My experiences at Capital Smiles have been above and beyond anything I would have expected from a dental office. I was immediately taken by their friendly atmosphere where everyone knew my name." As they encounter everything you eat and drink throughout the day, your teeth are constantly going under two processes: demineralization and remineralization. Sugar from sodas, sweets, simple carbs, and even your family’s favorite cereal and yogurt produces the harmful acids and bacteria that weaken tooth enamel. If you get too much sugar and not enough of the nutrients that strengthen your smile, the demineralization/remineralization balance is thrown out of whack. Tooth decay and infection are likely to follow. Fluoride is one of the best re-mineralizers for teeth, and its benefits for oral health are well documented. In fact, fluoride is so widely recognized for its ability to prevent cavities that the mineral has been added to most tap water sources throughout the United States. You may also get some exposure from foods and beverages that naturally contain fluoride. Children’s mouthwashes and even some candies and other treats for little ones have been fortified with the mineral. But if, like many, you and your family drink bottled or filtered water, or well water, you’re missing out on the benefits of fluoride! Topical fluoride treatments at Capital Smiles re-mineralize your teeth for a big boost of cavity prevention. Children are most vulnerable to cavities between ages 6 and 15 or so, as their permanent teeth emerge and the tooth enamel gradually hardens. Combine the softer, more vulnerable enamel with a love of sugar and still-shaky dental hygiene habits, and your child is at a much higher risk of developing tooth decay than older patients. 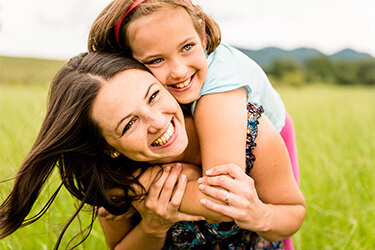 Children can almost always benefit from a topical fluoride treatment at Capital Smiles. Drinking tap water is a wonderful way to get a daily dose of fluoride, but if you would rather hydrate with filtered water, make sure you brush your teeth with a toothpaste that has been approved by the American Dental Association. One of their qualifications is that products contain fluoride, so that’s a good way to guarantee that you are protecting your smile. For most adults, brushing twice a day with a fluoridated toothpaste provides sufficient remineralization. If you are at a higher risk of developing cavities, your Capital District dentist can help you keep decay and infection at bay with regular fluoride treatments. Your child especially benefits from the preventive treatment. Contact our office to schedule an appointment for a checkup and cleaning and fluoride treatment today!